Avocado & Hearts of Palm Chop Chop Salad | eat. cook. blog. So I’ve mentioned Pati before (see Cashew Butter Balls). She has a cooking show called Pati’s Mexican Kitchen. I have to admit, I said I watch her show occasionally, but Tony actually discovered it. Not sure how or why. I was away for the weekend and when I came home, he said, “I found this cooking show I think you’ll really like. She has great recipes. I recorded it for you.” This particular episode featured this Avocado & Hearts of Palm Chopped Salad. The salad is delicious. We make it all the time. She has a lot of great recipes. But, in all honesty, I’m pretty sure it’s not the recipes that keep Tony watching. It’s Pati. She’s adorable and she has this even more adorable accent. She’s always talking about the beautiful “col-ours” of the food. Yep. He’s got the DVR set to record every single episode. (If using pepitas, you can skip this step.) To toast the pumpkin seeds, place them in an already hot, small saute pan set over medium heat. Stir often, being careful that they don’t burn; until you start to hear popping sounds (similar to popcorn) and they being to acquire a nice tan, about 4 to 5 minutes. Remove from the heat, place in a bowl and set aside. 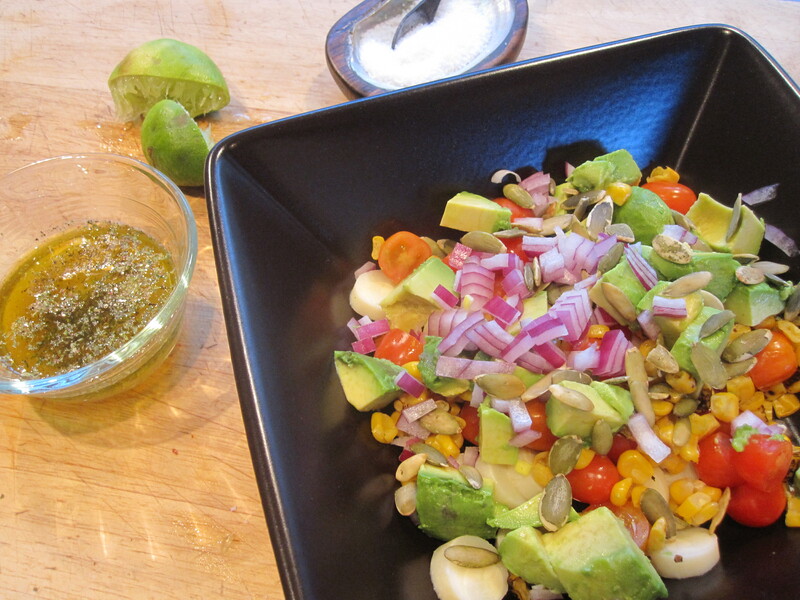 In a large bowl, gently mix the avocado chunks, hearts of palm, corn kernels, cherry tomatoes and red onion with the vinaigrette. Sprinkle with the toasted pumpkin seeds (or pepitas) and serve. You never cease to amaze me. 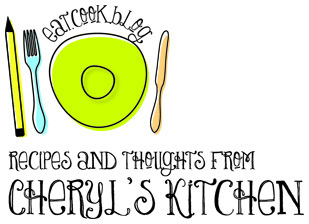 Your site is so lovely, artistic, funny, and beautifully written. It is my go to place when I’m stuck wondering what I should make!